Wave Swim School are an established business offering swimming lessons to all level of swimmers across south Wales. UGD were approached to develop a brand to improve the business’ appearance matching their professional services. 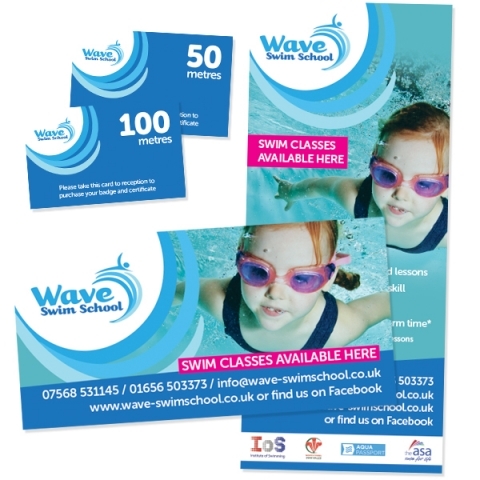 Here are some examples of the work we have carried out for them, including initial logo concepts, student certificates, leaflets, banners and a website. The branding has also been applied to staff uniforms, swim bags and caps for the students and other promotional items. 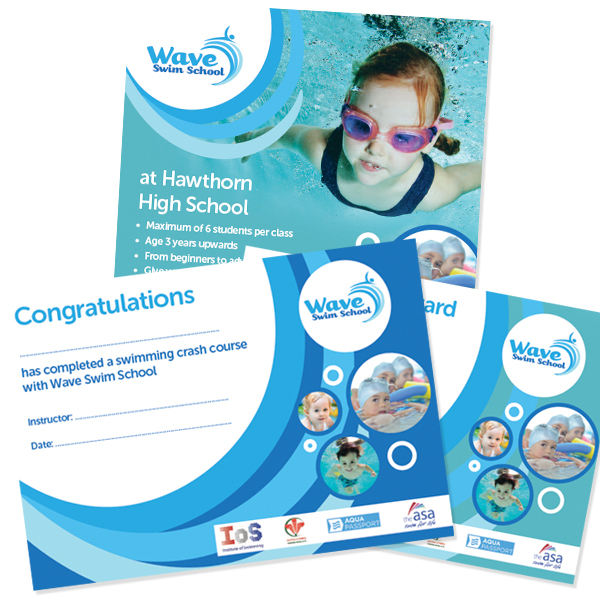 The client has been delighted with the work produced and the business has grown rapidly with the aid of the professional and recognisable brand we developed.